Cliff swallows nexting on the Moreno Valley College campus. Photo used courtesy of Daniel Pierce. Joanna Werner-Fraczek and Diana Marsh, associate professors at a community college located in Moreno Valley, California, have developed a multidisciplinary, multiyear research-based learning project that studies the cliff swallows that migrate to the area each year. Students participating in the project use ArcGIS to record and analyze the data they obtain. The Flying with the Swallows (FWS) project, offers college students an opportunity to conduct scientific research while taking science, technology, engineering, and mathematics (STEM) courses. 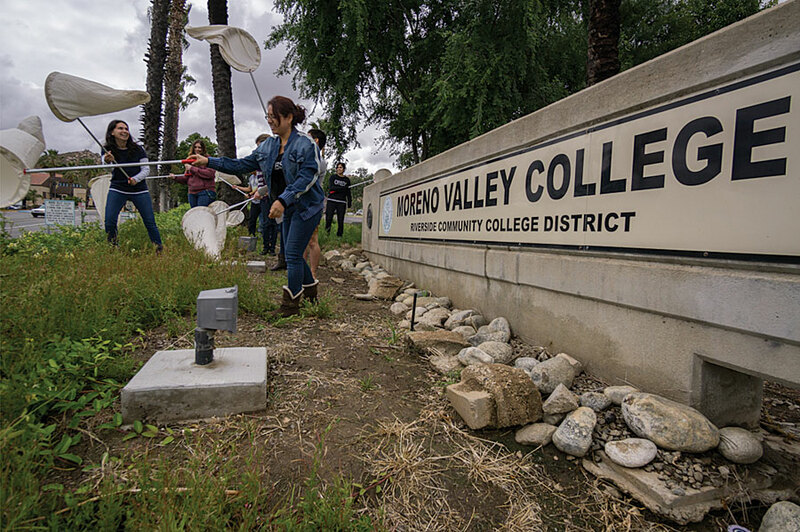 Every year, cliff swallows (Petrochelidon pyrrhonota) migrate from Central or South America to Moreno Valley College (MVC) in Southern California, which is part of the Riverside Community College District. These swallows build nests around campus, use the nearby lake as a water source, and gather mud for their nests from the surrounding hills. All swallows are protected under the Migratory Bird Treaty Act of 1918. 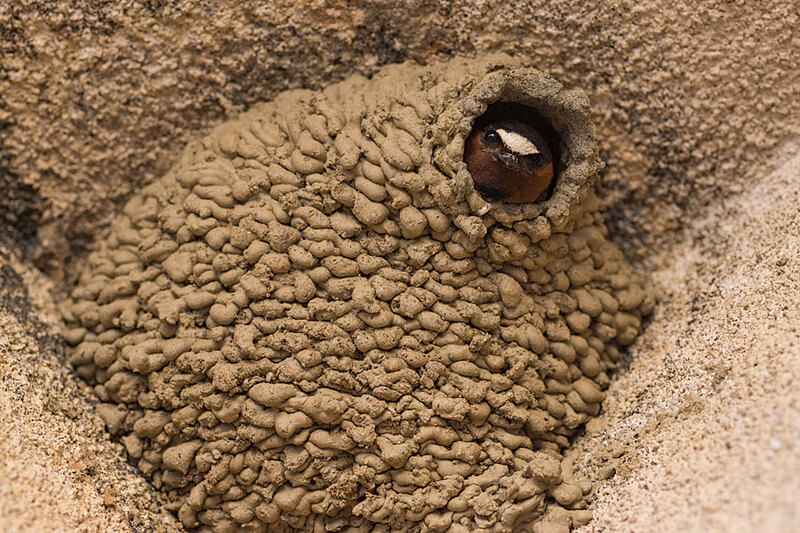 During swallow nesting season, declared by the California Department of Fish and Wildlife to extend from February 15 to September 1, nests are protected as well. 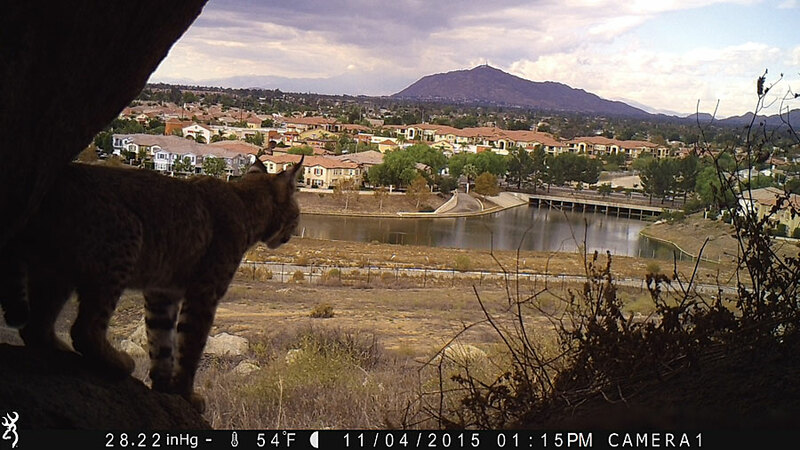 In 2015, the FWS project was awarded a grant by the National Science Foundation (NSF). This was the first NSF grant given to MVC in natural sciences. The program was also selected by the Community College Undergraduate Research Initiative (CCURI) as one of the 26 community colleges nationwide to develop and implement research-based learning. Research experiences are one of the most effective paths for attracting students and retaining them in science and engineering programs and for preparing them for careers in these fields, according to a consensus studies report, Undergraduate Research Experiences for STEM Students: Successes, Challenges, and Opportunities, edited by James Gentile, Kerry Brenner, and Amy Stephes, that was published by the National Academies Press in 2017. Currently, FWS is integrating research-based curricula and activities into biology and chemistry courses. The project builds scientific engagement and research by broadening student participation in activities that are related to real-life applicable subjects of study. Students study various aspects of swallow life in a suburban area. Biology students conduct the MVC ecosystem survey and investigate the swallows’ diet. Chemistry students focus on developing methods for measuring the water and soil content of materials used by swallows to build their nests to monitor the pollutants present. Since cliff swallows are insectivores that feed on insects flying in swarms, these studies also emphasize that swallows are a keystone species for insect population regulation. The intellectual merit of the FWS project has been significantly enhanced by students’ access to ArcGIS Online. The project makes use of the ArcGIS Online subscription that was donated to MVC by Esri. ArcGIS Online allows students to create multilayer maps that tell the story of where and conduct analyses of likely factors, such as rainfall or temperatures, to address why questions. Through MVC’s relationship with Esri, 24 biology students; biology, geography and computer science faculty members; and the MVC STEM coordinator have been trained by Esri employees to develop such maps. With Esri’s assistance, students are creating editable maps and collecting pertinent data in the field with smartphones in a crowdsourcing environment. Adopt a Window and Who Lives Here? are ongoing initiatives for the ecosystem survey aspect of the project. Each student taking a biology course is assigned a window on the campus where nests are present. 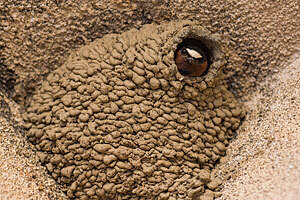 Their observations are recorded on the Swallow Nest Observations—MVC map hosted on ArcGIS Online. Samples of feathers, droppings, fallen nests, and other materials, are also collected from each assigned area for future analysis. Who Lives Here? activities involve camera trapping around the campus and recording data on the Fauna MVC ArcGIS Online map. The best images of animals are collected and presented on the college website. Recently the third tracking project, Six Leg Flyers, has been started. This project monitors insect populations on the campus, using insect traps. The samples collected are identified by using the iNaturalist app or the insectidentification.org or bugguide.net websites and confirmed by DNA barcoding, a modern molecular technique that uses a short genetic sequence from a standard part of the genome to identify species. All observations are recorded on the Insects MVC ArcGIS Online map. 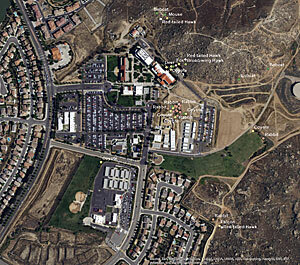 This research led to the establishment of a new collaboration with Citrus College in the Pasadena area. 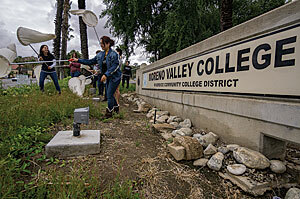 The colleges collect and compare insect populations in two Southern California locations. In May and June 2017, studies made of the stomach contents of nestlings that died after falling out of nests indicate that the majority of the insects consumed were termites, flies, and mosquitoes. With the maps that support the consistency of these findings, community members will be able to make an informed decision as to whether, despite dirtying windows, swallows are beneficial in helping diminish pest insect populations. As more data is collected, other research opportunities will arise such as exploring the diversity of fauna over time, using swallows as indicator organisms for pollutants, studying the biomagnifications of pollutants throughout the swallows’ food web, and any health hazards these birds may pose to humans when coexisting in the community. Results of the FWS research are disseminated on national, state, and local levels. Students travel to state and national conferences and publish their research papers. The Annual Swallow Day has been held at MVC for the last three years. At this event, students present their research in poster sessions or individual oral presentations. External experts in the field are invited to deliver a science seminar. The surrounding community is also invited to the conference. At the 2017 Swallow Day, Spanish students presented Latin music that celebrated swallows. Plans for the 2018 Swallow Day will include anthropology students emphasizing the presence of swallows in Native American culture. The Adopt a Window initiative will be expanded to the local community, creating a citizen science project that would enlist Moreno Valley citizens to monitor the city’s cliff swallow populations. There is also a desire to join with a sister college at a location where cliff swallows migrate to in the winter months. Although the literature is vague on this topic, cliff swallows from Southern California most likely migrate to Argentina or Uruguay. Starting in spring 2018, the Riverside Community College District is opening a new study abroad site in Buenos Aires, Argentina. The author sees this as an opportunity to establish a sister college relationship in Argentina. Since tracking devices will be essential to this project, she is searching for funding opportunities. Linking ArcGIS with STEM-related studies provides students with examples of how what they learn is interconnected and integrated. 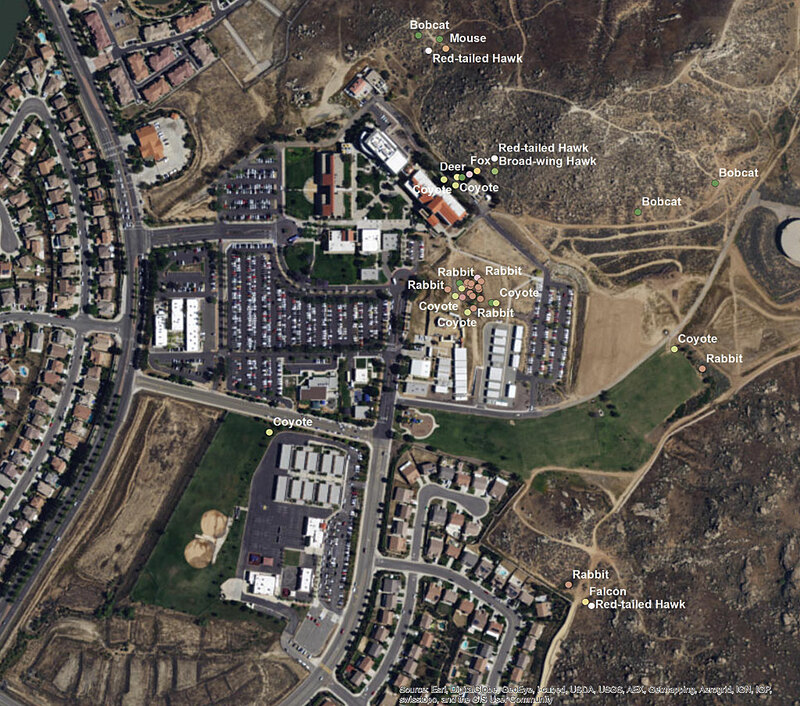 It is essential to indicate that community college students often come from low-income families and underrepresented minorities and might have no other opportunity to be exposed to the world-class GIS software. Thanks to the use of ArcGIS, the FWS transforms undergraduate science courses by enriching research areas of interest to the community at large and providing clear practical applications. ArcGIS creates a platform for professional and personal growth to the community college students and faculty. Esri has provided the tool to do that. For more information on FWS, contact Werner-Fraczek at joanna.werner-fraczek@mvc.edu. 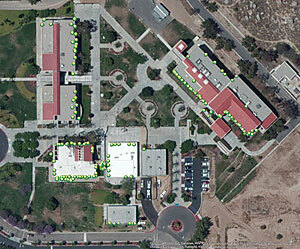 This research was supported by Esri through the donation of an ArcGIS Online subscription to Moreno Valley College. It was also funded by two grants from the Community College Undergraduate Research Initiative through a National Science Foundation (NSF) grant (#1118679) and the MVC independent NSF grant (#1525847). The author thanks all the Moreno Valley College students who participate in the research for their hard work and enthusiasm, and MVC staff and administrators for their continuous support. 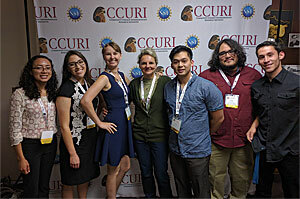 Joanna Werner-Fraczek is an associate professor of biology at Moreno Valley College, California, who implements research-based learning objectives into her teaching. She received her doctorate in genetics and molecular biology from the University of Wisconsin, Madison, and her master’s degrees from the University of Gdansk in Poland and the University of Wisconsin in Madison.